There are several ways to bring your energy consumption down and in turn save you money. LED technology is improving and becoming more cost effective. There are several LED options available for your office or warehouse. Just simply changing out those old T12 fluorescent light fixtures to T8 or T5 will reduce your energy bill significantly. New energy codes are requiring automatic controls for your lights. Ask us for a free consultation and quote. 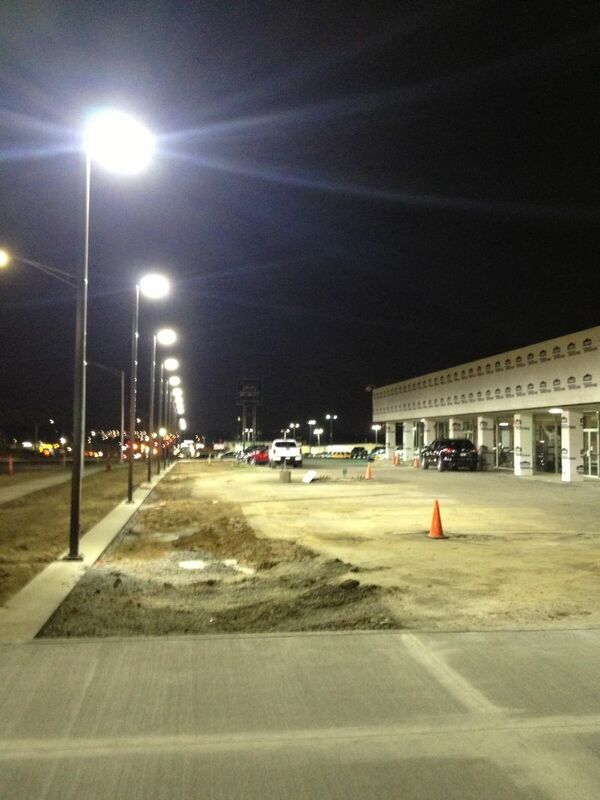 This is a photo of some pole lights we upgraded to LED for a car dealership. They went from 1000W per light to 232W per light.